One may be not so confident in Public Speaking. Due this reason aspirants just leave this round which is a blunder mistake. Another thing is instead of taking Group Discussion as a platform to share the ideas of a particular topic and a platform to interact, aspirants take this also like an exam. First thing why the aspirants fail to perform in Group Discussion , Debate or In Public Speaking is lack of valid subjective points. First step to build the subject for the Group Discussion is to follow the editorial page . Second thing is as we discussed earlier for Descriptive paper keep your views on a paper. If one can follow the editorial page it would be helpful in both Descriptive as well as in Group Discussion. After this practice to read out the content in your own words . I didn’t mean to by-heart the matter which you wrote , I mean to speak out. 5. Automation or Introduction of Robots – Threat to the employment Opportunities. 8. Internet Boon or Bane. 9. Does e-learning Killing the Creativity of the Child? 10. How to stop ‘Brain Drain’. 20. Stress Management – Balance of Personal and Professional life. Though these topics may look like the topics which we come across during our school days but, these are really important topics to be kept in mind and use the valid points wisely according to the topic and according to the situation. Also by covering these topics one can get an overview of the society which would be helpful to deliver points effectively and in a unique way. 2. Rising Pollution in Delhi and in other metro cities. 3. Is Farm Loan wavier a solution to Farmers Suicide? 4. Whether Demonetization as Success or Failure ? 5. Is Merger of Banks a solution to Raising NPAs ? 6. Should Election schedule Effect the Parliament Sessions? 7. Does introducing Robots in banking services is Advantageous or Disadvantageous? 8. Is Aadhar linkage is breach to Privacy? 9. Will you support Disinvestment in PSUs. 10. Do you support Digital India? 11. Swachh Bharath Abhiyan – How far it is successful? 12. Jan Dan Yojana – How far it is successful? 13. Nuclear technology Boon or Bane ( as this is related to north Korea missile tests). 15. Is India Ready to Adopt Cashless economy? 16. Merger of Railway Budget with Union Budget ? 20. Will the Smart cities mission in India Become successful? 21. One nation One election? 22. Problems faced by the Banking Industry. 23. Is Recapitalisation a solution for increasing NPAs? 24. Do we need censorship for Movies. ( as the movie padmavati is in the news). 25. Raising Demands for Reservation. There are certain things for the Group Discussion which are to be followed and certain things which are to be avoided. Let us first discuss the things to be AVOIDED. Never argue with the fellow participants of the Group Discussion. Never Question the fellow participants. Never try to dominate the others. Never try to Humiliate the other participants. Never interrupt others while they are delivering their point. Never make a group discussion like a one man , always give a room for others to share their views. Never be a gender centric i.e don’t feel shy or uncomfortable to match eye contact with the opposite gender. Never go out of the topic. Never be in a hurry to start the discussion and deliver an invalid point. Never take the role of the panel/ moderator by controlling or by guiding the people or by deciding, who is the next person to deliver the point. BE confident while delivering a point. Always listen to others before you speak. Take your stance based on the topic. Always be cooperative with others. Sitting straight is very important. Never point a finger to others while you speak. How you respect others if you are contradicting or adding something to others’ point. 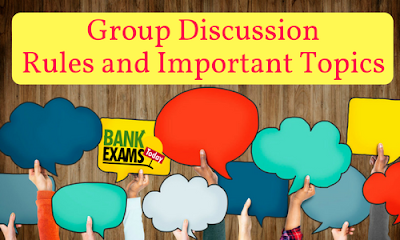 Do not take it as simple as group discussions conducted at college level. Professionalism is the must thing here (My intension is not the create fear among you , but just to make you more cautious).